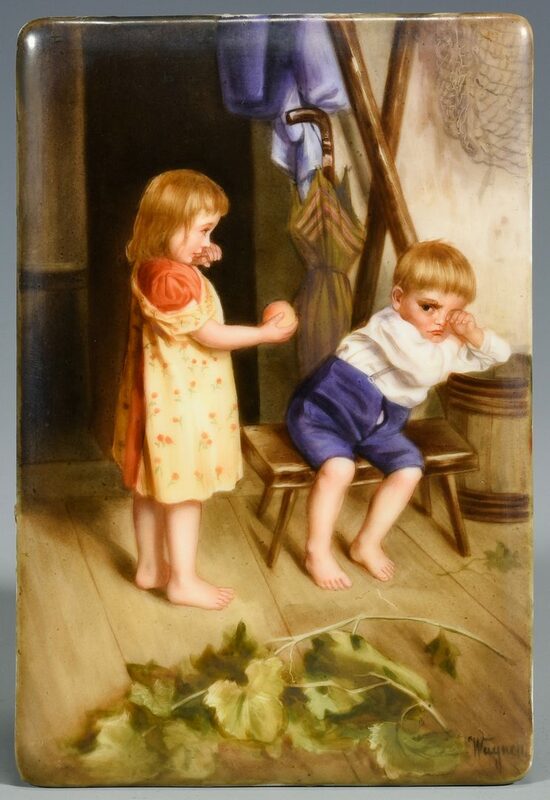 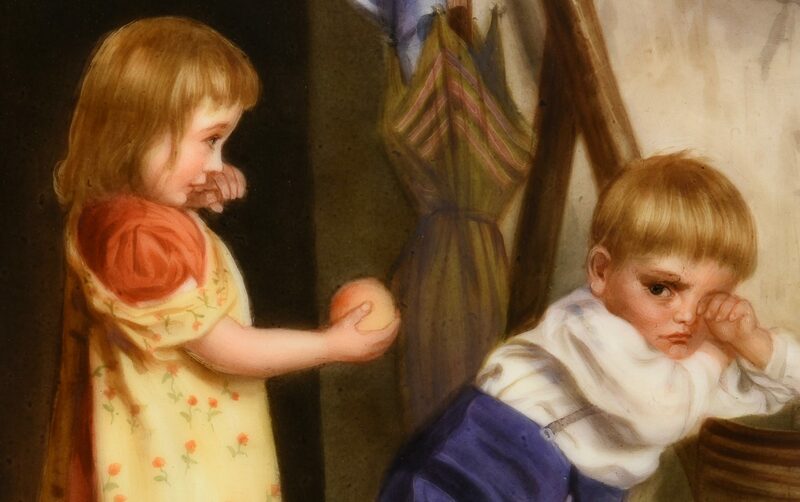 Framed German rectangular hand painted porcelain plaque depicting two young children, a young girl consoling a young boy with a fruit offering. 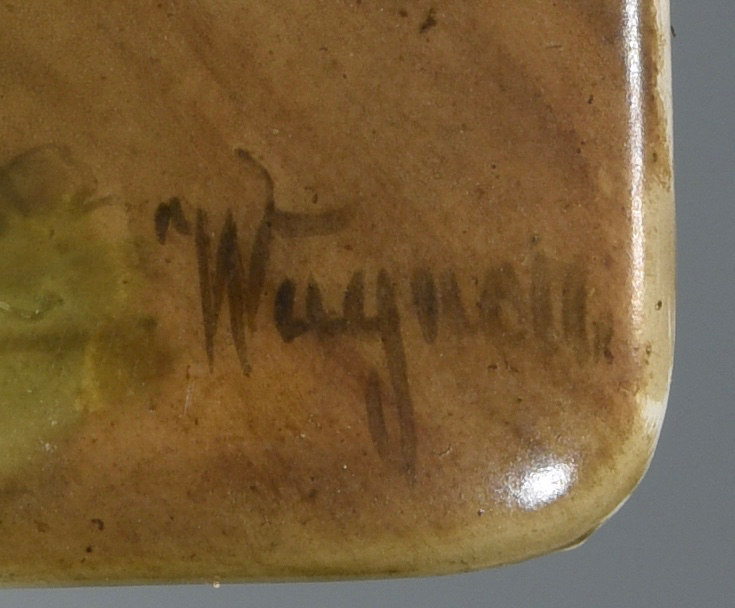 Signed lower right “Wagner”. 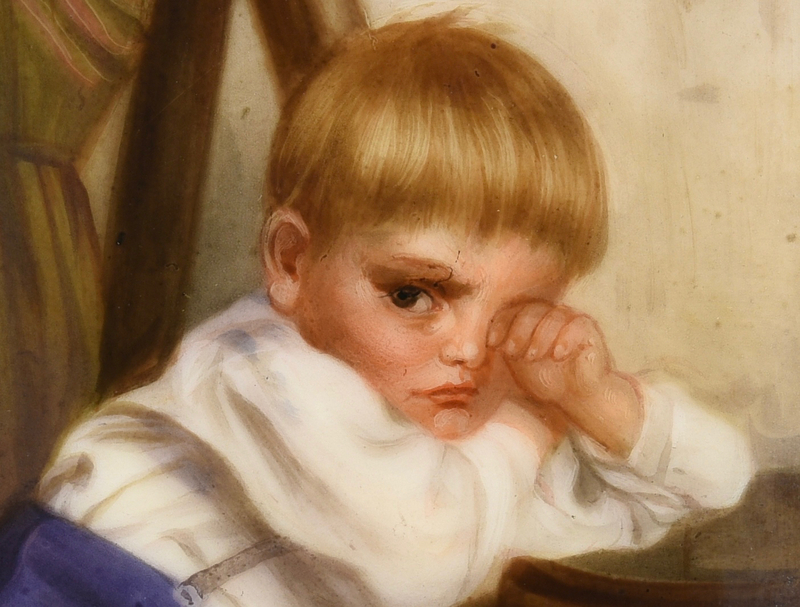 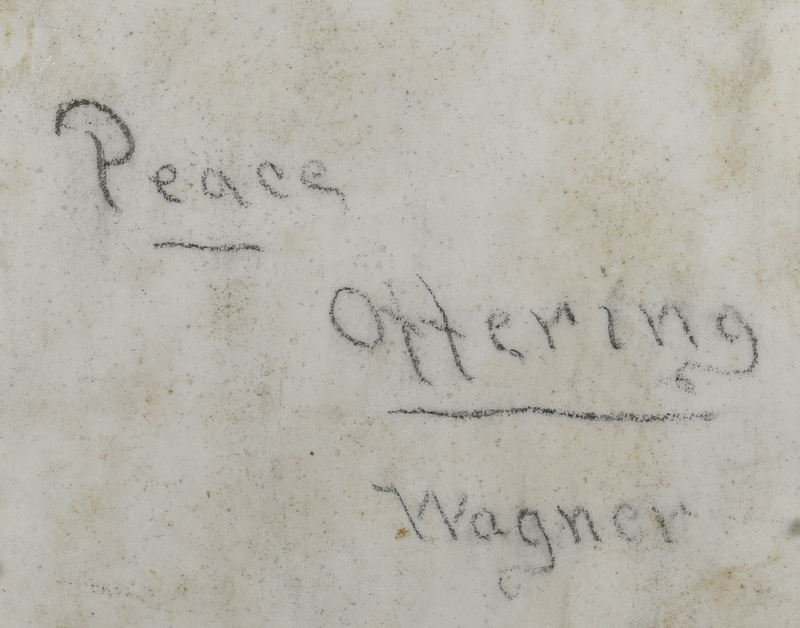 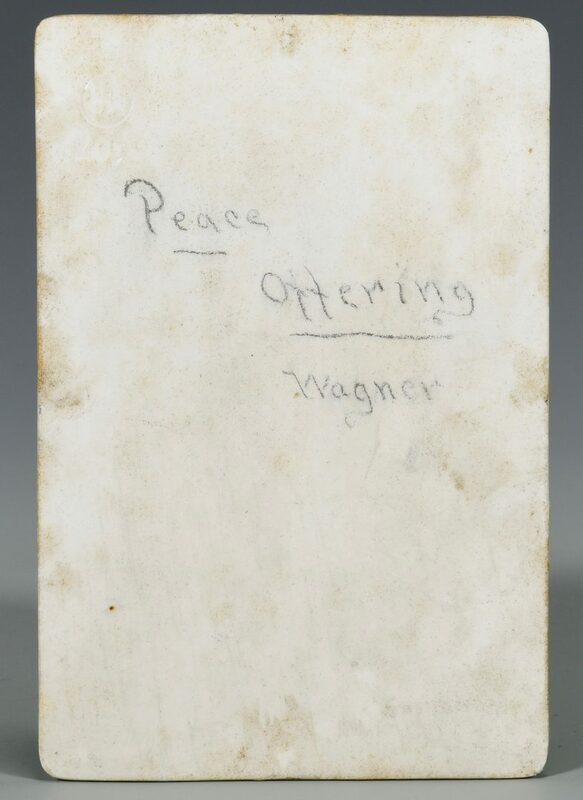 Titled en verso “Peace Offering” with signature “Wagner”. 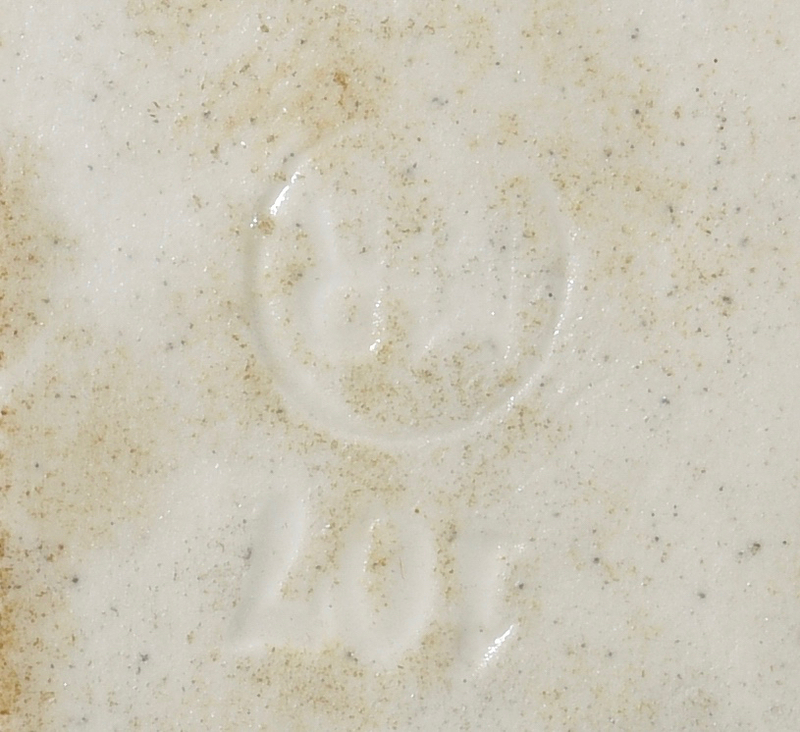 Marked en verso with impressed maker’s mark (MR within a circle) and “107”. 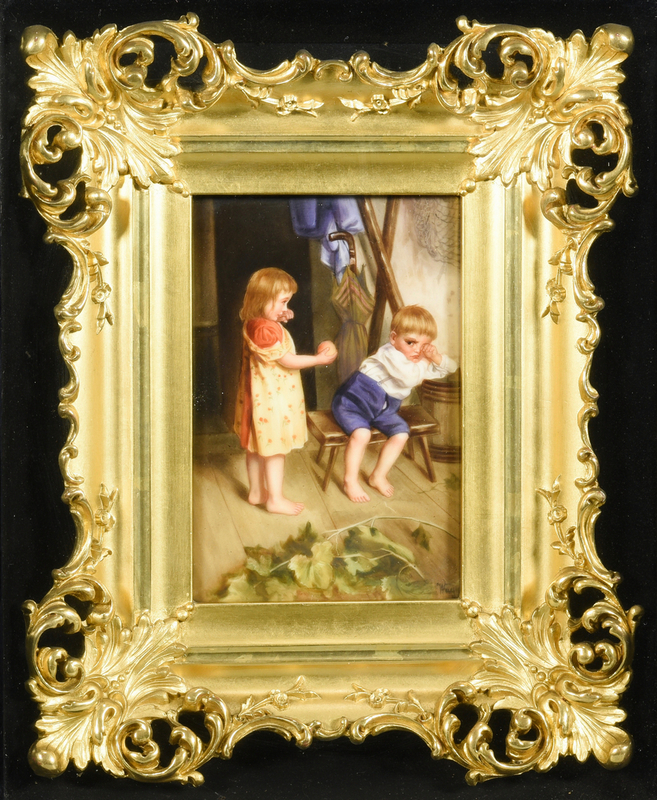 Housed in elaborate carved gilt rococo frame, the whole within a black shadowbox frame. 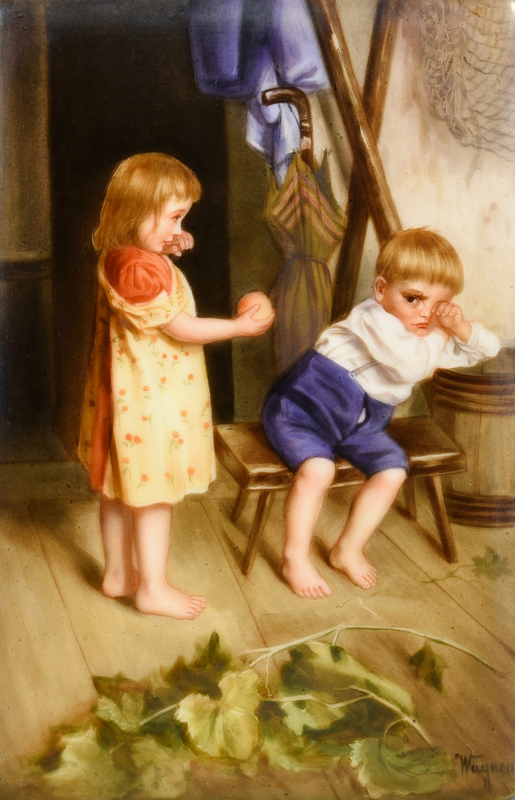 Plaque sight – 5 1/4″ H x 3 1/4″ W. Framed – 10″ H x 8″ W. Overall – 12″ H x 9 3/4″ W. Early 20th century. 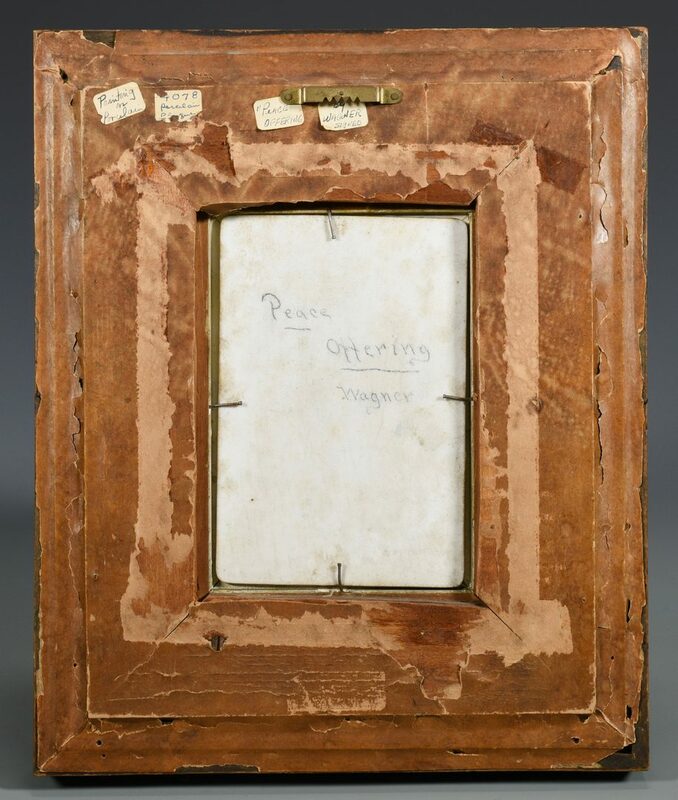 CONDITION: Plaque and frame overall very good condition. 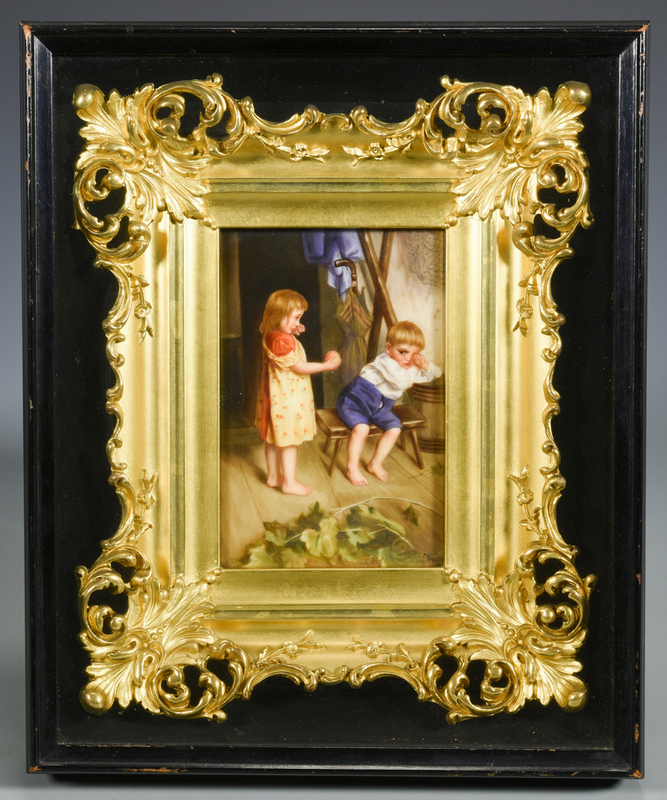 Some abrasions to black painted shadow box frame.